How can the Advanced Threat Protection for Mail System Help Enterprises in Fighting Stealthy Attacks? Email security is one of the most intricate challenges enterprises have been facing since a long time. An email is still regarded as the preferred mode of attack, but more importantly, cyber attackers are continuously looking for unique ways to break the traditional email security defences. As per statistics, 1 out of every 131 emails today are malicious. The condition has become worse in comparison to the earlier years, and attackers have been able to launch successful attacks through email scams like Business Email Compromise (BEC), etc. The shortcomings of the traditional email security tools has been the major reason for the increasing email attacks. 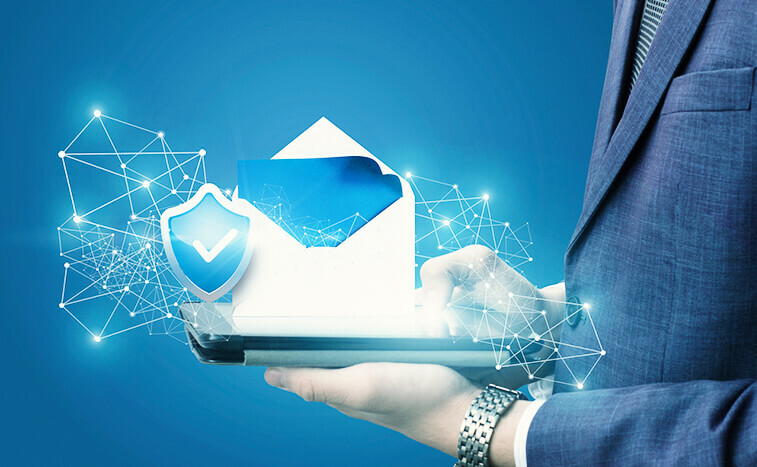 The Advanced Threat Protection for Mail System from Symantec blocks targeted attacks with the help of content and malware analysis tools, and provides enterprises Threat Intelligence Security that enables them to direct rapid response operations. Use of state-of-the-art, multi-layered detection technologies such as Machine Learning, Behavior Analysis, and Advanced Heuristics that help prevent new and sophisticated email threats like ransomware, BEC, etc. In-depth inspection of malicious URLs even before an email is delivered to ensure protection against spear phishing. Powerful virtual and OS emulation sandboxing that helps in blocking stealthy advanced attacks. This sandboxing is customizable and reflects an enterprise’s actual environment. It is capable of capturing more malicious behavior than any other sandbox solutions. Removes potentially malicious content from Microsoft Office and PDF attachments that provide protection against zero day malware and targeted attacks. The document is then reconstructed and sent to its final destination. Granular content filtering, integration with Symantec’s Data Loss Prevention (DLP) and policy-based encryption controls helps enterprises meet their privacy and compliance requirements. This technology blocks or encrypts sensitive emails to ensure no leakage of sensitive information. Rich threat analysis on all malicious emails entering the enterprise providing a deep insight into targeted and advanced attack campaigns. URL information, targeted attack information, threat risk score, and file hashes are some of the key insights provided by rich threat analysis. Integration with third-party Security Information and Event Management (SIEM) Systems for exporting rich threat intelligence to an enterprise’s own Security Operations Center. This helps enterprises in rapidly responding to threats. Analyzing, stopping, and remediating across network, endpoint and messaging channels through additional integrations with Symantec Endpoint Protection and Symantec ProxySG. While the Advanced Threat Protection for Mail provides enterprises enhanced protection against stealthy attacks, it is important that enterprises opt for only the best data protection services in India provided by globally recognized certified consultants with rich expertise in implementing email security in both DC and DR environment. By doing so, enterprises will also get a detailed report of every malicious email that enters their system.